I like Taylor Swift now, and I’m over it. She’s done what she wants to do, and she hasn’t apologized for it along the way. Not only is she a great writer and singer, she is a brilliant marketer. At 25 she has more marketing tricks up her sleeve than most seasoned professionals. First, she has managed to re-brand herself from a country princess to a pop queen, and she has managed to do it without burning any bridges in the music community. She did it slowly, over time as each of her albums became progressively less country and more poppy. Her music is so good though that singers (and fans alike) from both generes love her and have continued to follow her career and her music as she bridged the gap. Influencers are important for any brand and it’s even better when your influencers are authentic and enthusiastic supporters of your brand. Engagement with customers, or in this case, fans, is something that a lot of brands struggle with. Taylor Swift is amazing at it and I think that is one of her greatest strengths. She’s truly interacting and engaging in the lives of these fans. She knows who they are. She’ll both talk to them and listen to them. This winter she got in the holiday spirit with Swiftmas in which she unapologetically stalked her fans on social media to find out about their lives to she could hand pick Christmas gifts for them. The rational side of me wants to think that she had one of her many assistants do the actual cyber stalking but Taylor still handwrote letters along with the gifts to each of her fans. She also recently sent a fan a check for $1989 to help with the fans’ student loans. Seriously. She actually went out of her way to do these small things for fans. I have never heard of another artist/actress/politician, anyone famous doing things like this. Doing things like these coupled with never being involved in any type of scandal has endeared Taylor to millions of fans across the world. She also knows exactly what her fans want and caters to that. This is a quality that many brands lack. Apple is one of the few brands that seriously knows their fans and works tirelessly to come up with products that they will like. Swift released her first album when she was just 16. 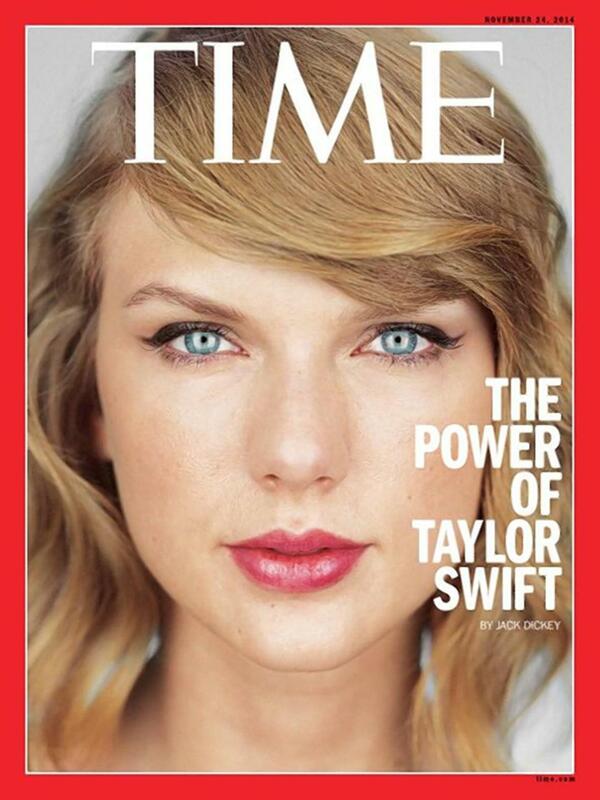 Her most recent album release, 1989 was just shy of her 25th birthday. Swift’s fans have grown up with her through her five albums. Her debut album featured angsty teenager songs such as Teardrops On My Guitar and Picture to Burn. Known for writing her songs almost entirely by herself, Swift, a teenager herself when her second album was released in 2008, is able to tap into the spirit of the average teenager and write songs that speak to them. The album’s most popular song You Belong with Me was about a nerdy high school girl who ultimately ends up with the hero football player. With the releases of Speak Now and Red Swift, now a snarky twenty something took to mocking her exes in her songs – something that all twenty something women love to do. She has gained a lot of notoriety for those stunts but I think her writing songs like that has done a fantastic job of generating her great PR as the media (and America) tries to guess which song is about which former fling as well as allowed her to differentiate herself from every other pop star out there. Finally, with 1989 Swift has really come into her own skin and flawlessly made the leap from Country to being firmly ingrained in the pop music world. 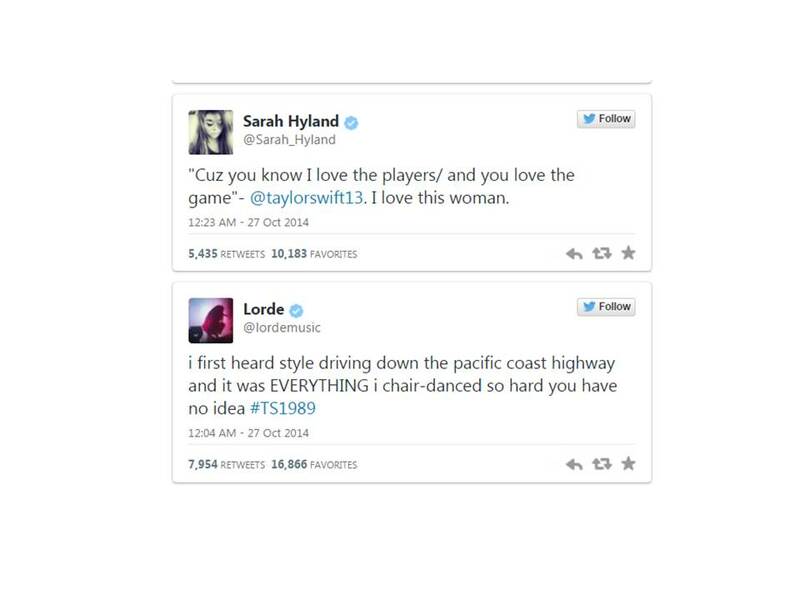 Instead of hating on her exes, in this album Swift makes fun of herself and more importantly has fun with it. Swift has been described as a “serial dater” which she fully owns and dramatizes in Blank Space. As a marketer I have come to really respect Swift first for her perfect rebrand of herself and also because she’s just really awesome at marketing herself and her products. I’m excited to see what new and innovative thing she comes up with next..